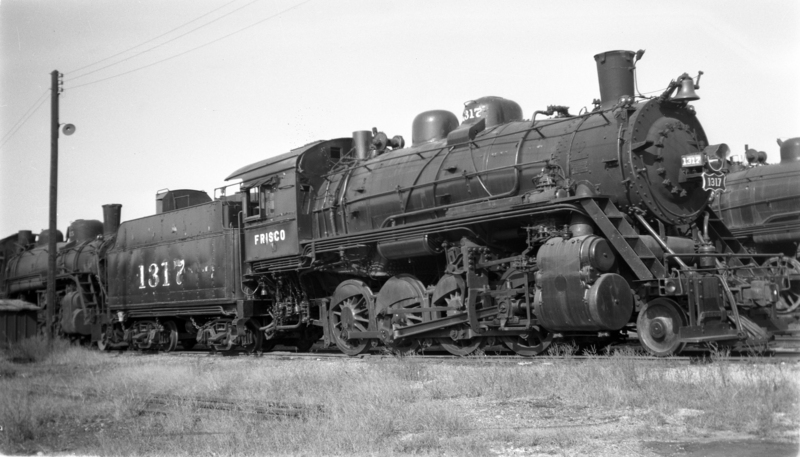 2-8-0 1317 at Fort Smith, Arkansas on October 30, 1947 (Charlie Winters). GP38-2 2307 (Frisco 452) at St. Louis, Missouri on May 21, 1981 (M.A. Wise). 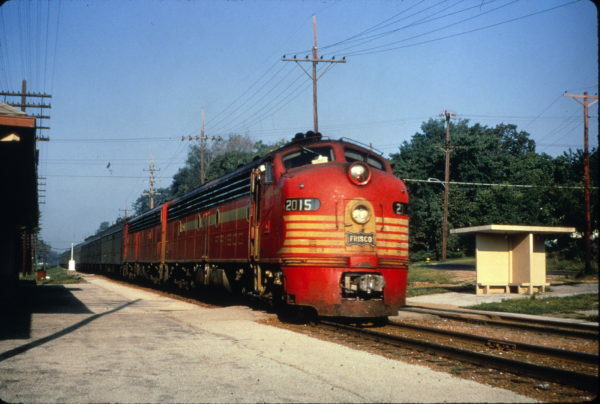 E8A 2015 (Twenty Grand) on the Meteor at Webster Groves, Missouri on July 15, 1965 (Al Chione). 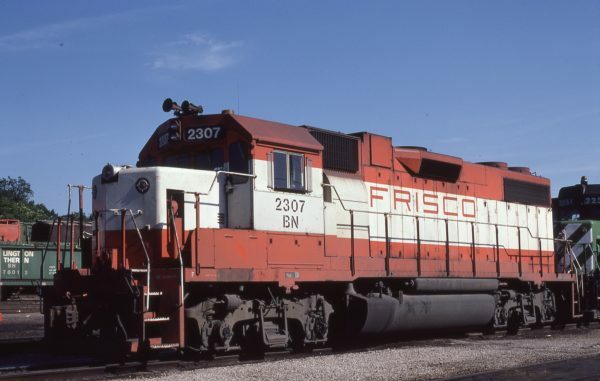 The Frisco Lot and Land Company announces the opening of three towns in Oklahoma on the Frisco System. 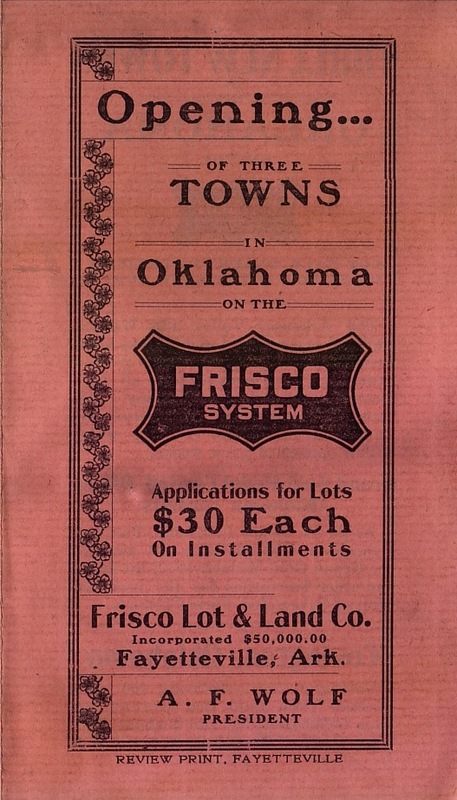 No date is noted on the brochure but it is obviously from the very early 20th Century.